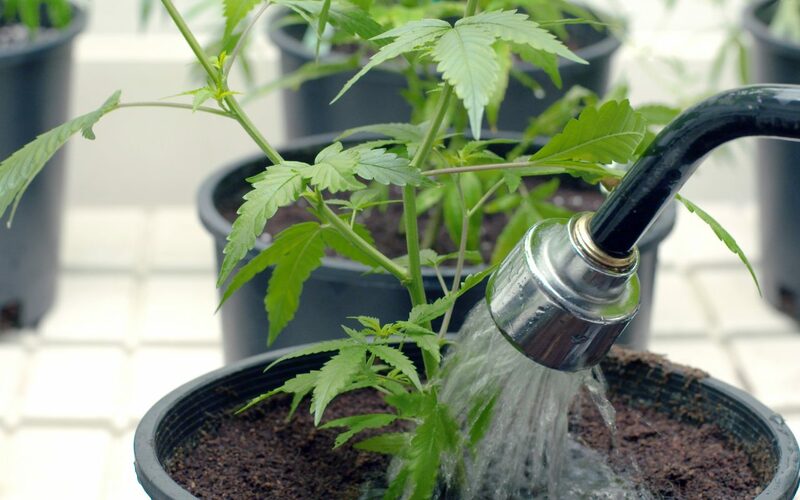 There are a few industries that tend to survive through any sort of economic drought. One of those such industries is anything that has to do with people having fun. When times get tough, we cut back on luxuries or hold off on large purchases. But when it comes to spending time together and having a fun day out with the family every once in a while, it will take a great deal for us to stop. 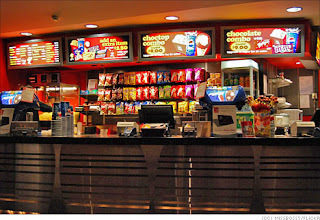 For that reason, the concessions industry has never really been affecting by hard economic times in America. During the recession, Americans stopped buying houses and cars but they didn’t really stop going to the movies or attending school fundraisers. The concessions industry supplies virtually any event or location that provides fun for their customers. This comes in three forms of equipment and an almost endless amount of food products. The three types of equipment that can be purchased or rented from a concession supply company are cotton candy machines, popcorn machines, and sno-cone machines. You would be pretty hard pressed to find a carnival or sporting even concession stand without at least one of these machines because they have come to be expected. All of these machines are easy to use and even easier to rent and setup. The sugary delight of cotton candy is a must have at concession stands. These machines range from simple and small to large and industrial depending on your anticipated crowd. And because cotton candy is a fan favorite, your sales are likely to be largely supported by this machine. Popcorn is another absolute must-have at any concession stand, especially anything to do with movie watching. These machines are also very easy to setup because there really isn’t any setup, you just plug it in and provide the kernels. The low price that is associated with a popcorn machine also makes them very favorable among schools and smaller scale fundraisers or stands. It’s so easy, you could even rent a machine for a birthday party. The sizes can range from a modest 4 ounce popper to a professional-grade 60 ounce popper, perfect for stadiums or amusement parks. And don’t forget those essential popcorn machine supplies like popcorn salt, oil, and butter! For events on those hot summer days, all concession stands should have a sno-cone machine. This machine is not something that can be replaced very easily by human work. The shaved ice is the tricky part and is best left to the machines themselves because they can also keep everything cool. These machines are designed to grind down large volumes of ice very quickly in order to always have fresh ice available. This would be almost impossible to provide by hand. With the rental of the sno-cone machine also usually comes the supplies, if wanted. The syrups to choose from are the best part of course, so ask your favorite concession supply company if they also provide the flavorings with the machines. With the addition of these three machines to any event you will never have a dull moment or a lull in customer activity. A trusted pillar within the Denver metro area is 1st Choice Windows & Siding. They are a family-operated business that brings trust and respect to every encounter. The technicians with 1st Choice are passionate about what they do and strive to deliver only the highest quality products and services. They understand the intricacies of the business so well that they are really a life line for any and all questions relating to replacement and/or installation of windows, doors, and siding. Siding alone has about 20 different styles and textures that could add personality to a home. So on top of that throw in the hundreds of window and door designs, and you quickly get an entire catalogue of options. All of these products are familiar to the technicians and they can help guide you through the overload of products. When you first think of having your siding replaced, for example, you may not be that excited. It seems like so much work to get things cleared out, choose the siding you want, pay for it, schedule a team to come rip off the old stuff, have them install the new stuff, put up with hammering and loud noises for several days, then clean up after everything. Yes, when you look at it that way, having your siding replaced would be no fun at all. But fortunately for you, if you call 1st Choice, you will fly through that list without much effort. There are a lot of choices but the consultant will narrow them down based on budget and personal preference before you even view anything. Then they can narrow it down even more depending on what materials you prefer and what your home can work with. Payment doesn’t come until the very end and you are completely happy with the work. As for the hard parts involving ripping and installing and cleaning – you don’t have to worry about any of that. The professional crew that comes to replace your siding and/or windows has done this a million times and they will work quickly and won’t leave a trace. You might be amazed at how fast the crew really is. They can have everything off, cleaned, and ready to go in one business day so that the new siding can be delivered by the second and installed by the end. Clean up also usually happens on the second day unless there are any pieces still left to touch up on the home. Now doesn’t that sound pretty easy? You pick out what you like and then pay at the very end and in the meantime you have an amazing crew at your disposal. They can also guide you along with insurance reimbursement or payments due to damage so that your cost is even lower! So don’t be afraid to give your house a new look with some fresh siding, new windows, and maybe even a grand new front door. The statement that you choose will be projected onto all who enter so make it a good one. The extensive health benefits from practicing yoga have been well-tested in recent years. The yoga craze itself is not new anymore, but it has taken a while for the true benefits to be revealed decades after a person starts a regular practice. Now that we know what great things that yoga can do for mind, body, and soul, it is never too late to start. If you are in the Denver area you are in luck because there are some really great yoga studios that offer affordable classes from knowledgeable teachers. Samadhi Center for Yoga & Meditation is an award-willing facility that is family owned and extremely accessible for all talent levels. At Samadhi Center you will find students and instructors that are representative of all levels of yoga abilities from beginning to advanced. The classes are described and designed to help you reach your ultimate potential through repetition and expansion. The instructors and owners at Samadhi want you to grow in your practice at your own pace and comfort level, so they are there every step of the way to help. And with yoga practice naturally comes meditation and healing, so there are places for all of these things to happen at your own pace and ability. You can start with a restorative yoga class to unwind or instead begin with a traditional strengthening Vinyasa to get your spine and mind aligned. The schedule at Samadhi is designed to provide all types of classes at times that are most convenient to the students. This daily mixture is the best remedy for a well-rounded and balanced yoga practice. Sadly, in some cities the yoga classes are a dime a dozen because of their extreme popularity. When this happens the instructors are quickly taught, ill-prepared, and end up providing classes that are of poor quality. Samadhi Center does not tolerate this type of rotation and ensures that all of their yoga instructors are well taught and genuinely care about their practice. The broad range of classes offered at Samadhi Center are all meant to benefit you differently and accommodate all levels of ability. The ancient wisdom that comes along with the practice of yoga is not “watered down” at Samadhi like at other yoga studios. They embrace the original teachings and intentions that were developed with each yoga type and the instructors are mindful of these messages during their classes. In addition the guidance involved in the physical positions there will be descriptions of the inner, mindful intentions of yoga. Vinyasa is literally translated from Sanskrit as “connection” and this message is the basis for all actions. Vinyasa is easily the most commonly practice form of yoga because it is diverse and allows for connections to be formed at all ability types. In addition to the diverse yoga classes there are also meditation sessions offered at every turn to completely round out your yoga practice. Meditation and yoga go hand-in-hand, which is why these classes are offered back to back for ultimate utilization. Take advantage of learning from Denver’s top yoga instructors at Samadhi Center. Denver has been voted, year after year, as one of the most healthy cities in the nation. The citizens of such a beautiful city feel the need to look and feel as beautiful as their surroundings. To do this, they eat clean and exercise every chance that they get. But the exercise isn’t just work- Colordoans know how to make exercise fun to the point that you can totally forget you are working out. These professional health nuts are everywhere in Denver eating, working, and relaxing at any given time. So how do they fit it all in? One big way is by using a gym and spa all rolled into one! One of the first majorly successful gym/spa combinations was created right in the heart of downtown Denver, called Matrix Fitness and Spa. Matrix started out as a gym that realized a whole new potential with combined spa services for its patrons. Located in the Golden Triangle neighborhood of Denver, this gym with spa services carries the motto “country club look with a Cheers feel,” which accurately describes what you will experience. Everything from the promoted portions to the finishing touches of Matrix just gushes luxury. The atmosphere, the staff, the amendments, and the services themselves will make you feel like you are permanently wandering through a French 5-star hotel. But the nice part about Matrix that sets it apart from those extremely posh places is that you don’t feel uncomfortable or out of your element. Instead you feel at home with the staff that “knows your name” and will make you feel welcome. And all this is just a description of the spa side. The gym has everything you could possible need to work out, including classes and personal trainers. You can even take classes with the personal trainers and have it all! You can be like a true Coloradan when you join a gym with spa services included in the membership. This is how the truly healthy people are able to maintain that work/life balance with some clarity. You would be amazed how much quickly and effectively you recover and benefit from your workout when you partake in a spa treatment before, during, or afterward. It helps your body bounce back quicker while allowing your mind to become clear to allow for focus. The services are designed to complement the workout in this situation, so don’t expect any typical massage or facial treatment. When you visit the spa at Matrix you will be continuing your workout without even realizing it. And if you do decide to hire on the expertise of a personal trainer, they will be able to suggest which spa services would be best for you that day based on what you worked on together. So now you know the secret of some of the healthiest people in the country – extend your workouts and make them more enjoyable all around. Do something inspired, like a spin class, instead of just some boring reps and finish it with a massage instead of a drive home. A cataract is a very common problem seen at eye clinics. It happens naturally in many people with age, which is the most common type. But it can also happen in young eyes that have been having other health issues. When a cataract is present there is a clouding over the lens of the eye, occurring right behind the iris and pupil. This clouding can be seen when looking directly at someone’s eye, which makes it easy to spot. Cataracts are quite easily the most common reason for vision problems among humans, and the number one reason for any vision loss in people over age 40. In global terms, cataracts is the top cause for blindness. Cataracts, in fact, is so common that the number of people suffering from the condition totals more than those of macular degeneration, glaucoma, and diabetic retinopathy combined. There are several types of cataracts that can occur. A subcapsular cataract happens near the back of the lens and is more commonly seen in those suffering from diabetes or people taking high doses of steroid medications. 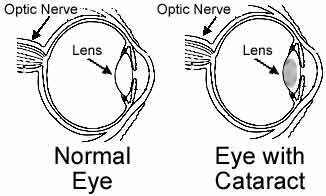 Another type is a nuclear cataract, so named because it forms deep within the nucleus of the lens. This is the kind you most frequently see with aging eyes. A white, wedge-shaped opacity that begins in the periphery of the lens and works toward the center of the eye is known as a comical cataract and ends up forming shapes that look like spokes of a wheel in the eye. So how do you know if you are developing a cataract? They usually start out very small and barely affect your vision. You may think you are just suffering from dry eyes or something similar, but if this blurry vision persists it is worth getting checked out. If it feels like you are looking through a cloudy piece of glass all day, you may be developing a cataract. Haziness or cloudiness of vision is the most common sign of a cataract, but other signs also exist. Do lamps in your home seem very bright at night? When you drive in the dark do opposing headlights seem glaring and difficult to see past? Do colors appear dull? These are all possible signs of cataracts that have formed and may be causing permanent damage to your eyes. Some types of cataracts are noticeable right away, and others don’t cause signs or symptoms to show until they are fully developed and in place. So what can you do to prevent this from happening to your eyes? In a way, some cataracts are completely unavoidable because they can happen with age in otherwise healthy eyes. However, other cataracts are the result of other chronic eye conditions, misuse of contact lenses over many years, or injuries to the eye. To keep yourself protected from these occurrences it is best to visit your eye doctor annual to get checked. If they see early signs of any cataracts they can begin treatment right away and alleviate some or all symptoms. If the cataracts develops fully and becomes a nuisance there are cataracts surgery options available. Would you loved ones like the gift of a custom copper mug? Now that Christmas is over, you probably are already gathering ideas for your loved ones for next year. Sometimes right after Christmas is the best time to shop for someone because you just had a discussion about what they loved, what they didn’t, and what they needed but did not get from Santa Claus. Do you have a person in your life that would have loved getting solid copper mugs for their bar? If so, then save this article for next year. 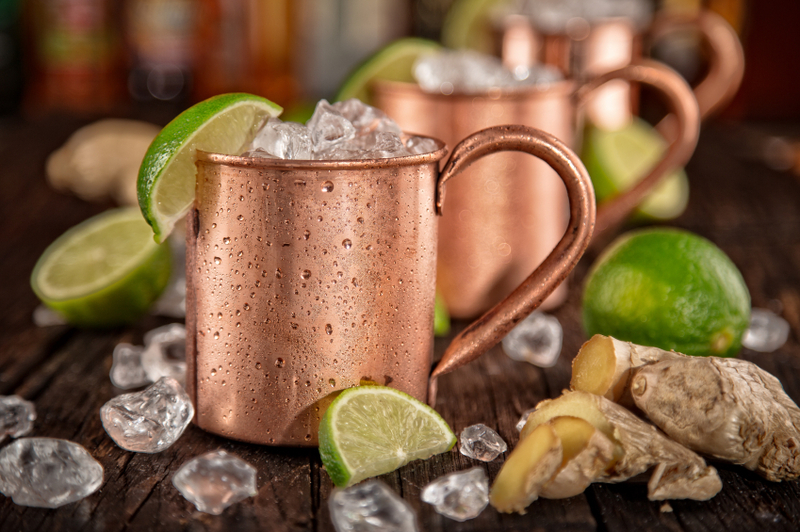 Custom copper mugs are best known for their relation to a Moscow mule. Moscow mules are cocktails made of vodka or gin with ginger beer and a splash of simple syrup and lime. This signature drink was created back in the 1940s in a bar in Hollywood. The combination of ginger beer and vodka came together because a bartender was trying to get rid of his stock of each. At the time Smirnoff vodka was a new company and not well known, so the bartender was having trouble moving the stuff off the shelves. He was also having trouble selling his house-made ginger beer. The marriage of the two was an instant success, and it became especially well known because it was served in a flashy copper mug. This, too, was just a coincidence. The bartender knew that he was passing off unwanted alcohol to his patrons so he thought a nice looking copper mug would make them stand out a bit more, and it worked. So the Moscow mule in a copper mug was born because the mug looked nice and the alcohol was hard to sell on its own. And now 70 years later the mugs are still popular and highly coveted by bar enthusiasts. So if you know someone that would love a custom copper mug with their name, favorite phrase, or even favorite sports team engraved, look no further. There are some really great online companies that sell these custom mugs for reasonable prices. For large orders you can get a great wholesale price. For just one mug you still pay a fair price and can have it engraved or etched with whatever you want. You can even order 5 mugs, each with a different design, for the same price. They come in sizes ranging from 8 ounces to 24 ounces and anything in between. The designs can be screen printed, etched, or engraved with not much difference in price. When these pieces are added to a home bar, the bar itself is knocked up a notch on the belt of professionalism. They just look so sleek and proper that no matter what drink you make in it, it will look like you just ordered it from a trendy New York City hang out. Be sure to remember where to get these mugs and who to get them for next Christmas. You can be sure that no one else will be giving your loved ones this gift because it is truly unique and they will cherish them for a lifetime due to the food-safe lacquer that keeps them like new! Comments Off on Would you loved ones like the gift of a custom copper mug? In the age of DIY in America, we often think we can pull things off if we just put a little effort into it. This has been attempted with every craft from baking to sewing to photography. The internet has somehow given us all the courage to think we can bring about our naturally crafty selves with just a few simple steps. And usually, as we have also seen on the internet, these attempts result in monumental fails. Our penguin cupcakes end up looking like lazy pandas, and our home-sewn maxi skirt ends up looking like a muumuu. We should know our limits and we should stick to them. 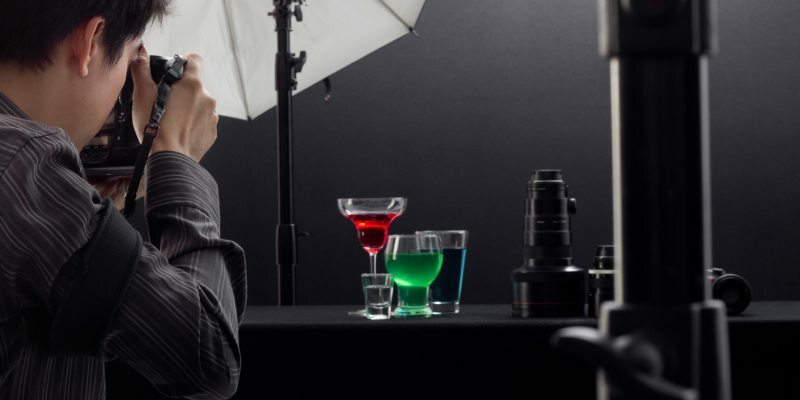 This is especially crucial when it comes to professional product photography. You might actually do some crafty things in your life, and if you want to document them well you can just snap a picture with your phone and post it for all to see. It will be grainy, have poor light, and look all around worse than it actually does in real life. When you need to document what you are doing in an elegant and classy way, you can contact Yechiel Orgel, a commercial photographer specializing in still life, food, and product image capturing. Based out of New York, this professional is passionate about the products that he creates. You can have him photograph your trade and make it look amazing no matter what it is. His understanding of subtle differences in lighting, composition, and placement make a significant difference in the outcome of the image. Product photography has developed with great leaps and bounds recently, and it can no longer pass with a simple flat image. With Orgel’s help, many entrepreneurs have watched their businesses grow rapidly just through advertisement. Photography is more than just a job for this professional, it is a way to open creative opportunities to grow. Orgel’s photos can be seen in e-commerce advertising, catalogues, and web ads. If you have ever tried to photograph your own products, even if you have a high-quality camera, the pictures probably don’t even come close in comparison to something that Yechiel Orgel could produce. He offers innovative design and new-age photography that will elevate your product to a level of distinction. Your ads will looks like something straight out of the most fashionable Times Square billboards. With new-age radiant lighting and the most recent editing software, plus a natural talent, Orgel will develop something that you never could have created on your own. His still-life, food, and various product photographs almost seem like they come to life on the screen or page. Being an established New York photography professional, he already knows what it takes to stay in competition with others and how to do it. New York City is the center of all-things-crafty these days. There are artisans perfecting their crafts on every corner, so the ability of Orgel to stand above the crowd speaks volumes for his talents and capabilities. So don’t even attempt to photograph your own products, they will never look as good as they could from this kind of professional. Know your limits. The convenience and access that is offered by Office Evolution Chicago is difficult to pass up. If you are looking around for a good shared office space to grow your business there are certainly a lot of things to consider. First, the location should be key for you and/or your staff so that the commute is never an issue. Office Evolution is right in the middle of the action in Chicago, because it is minutes from the main airport, the convention center, and just off main public transit routes. Many clients that use the space are coming or going from the airport so the location is key to stop off and get a few hours of work done before jetting off again. Another important aspect to consider when it comes to searching for the perfect coworking space is availability, access, and rent costs. These often get lumped together because they affect one another so much. If the location is convenient you may be using the office a bit more, which obviously makes the cost go up. If access is a huge concern you might be less likely to use your shared office time even if you have already paid for it. The nice thing about Office Evolution Chicago is that you can pay in several different ways. If you want to prepay for each week or month because you’re pretty confident with how much time you will need you can get some discounts. However, the standard rate is still very reasonable so you can pay as you go if you’re unsure of your workload for the next days or weeks and you don’t want to overpay. Yet another option is to pay just for the hour or for the week or for the month. If you have employees that will be putting in the same amount of time each week, you can prepay and plan ahead. No way is the wrong way, and the right way is the one that suites you the most. An additional advantage to the cost, accessibility, and location of Office Evolution Chicago is the services offered. Depending on what you need, you can have access to full conference rooms, the drop-in business lounge, the shared space, or private work spaces. All of these include the full kitchen for staff and the game room. Also, you have the option of a rented virtual office space which opens up the services of the front desk staff. They will answer phones on your behalf and sign for packages and leave them in your locked mailbox that you can access 24 hours a day. The staff can screen calls if you’d like or take messages or somewhere in between. With a virtual office you also have the ability to use the physical address and the land line of the shared office for your business so that you don’t have to use your home address. You will truly feel the business owner that you are when you have access to all of these advantages. Even just a few years ago, the process of getting a dental crown may have taken quite a few different appointments with your cosmetic dentist. Often your would have to first go for a consultation, then make another appointment to have your molds made and temporary crowns put in, and then a final appointment to have the permanent crowns placed. Although the end result is worth it, the whole process can make you wonder if it is and how much time and money your really want to put into your teeth. Well, cosmetic dentists that are up to date with the latest of equipment will likely have a CEREC system. This new system has the capability of fully designing and generating a porcelain crown in only one office visit. This is definitely a game-changer because of the fact that a normal crown procedure would take a minimum of 2 visits, usually 3. Plus, temporary crowns can be very uncomfortable to wear, and the old way could cause a patient to wear one for weeks. The introduction of the CEREC machine makes the entire crown procedure much easier on the patient, and it creates a more esthetic product that can be placed with less drilling and less injections. The first step is to have your tooth prepared in the same way that it would be with a traditional crown, then digital images are taken with a specialized camera. This step replaces the traditional step of making an impression of the tooth. The digital images will detect every small crevice to make a perfect mold. The digital image can be brought up on a flat screen right next to the dental chair so that the dentist can refer to it continually while working and designing the new tooth. Once molded, an image of the new tooth is sent to the CEREC machine and it works to build the tooth exactly to the cosmetic dentists’ specifications. The entire process, once the necessary data has been sent to the machine, can take as little as six minutes. With the final product in hand, the dentist will then adhere the crown to the tooth and make sure it matches the teeth on either side. The CEREC machine has taken a several week cosmetic dental procedure and made it into a same day procedure. Many dentists and patients are amazing at how quickly they can have crowns made and adhered. And less time overall means less gum injections and less pain. This also eliminates the need for the uncomfortable temporary crown in the mean time. With the CEREC machine, you can walk in and out of your dentists’ office in the same day with a brand new, beautiful smile. What’s not to love about that? So same-day dental crowns may be something that could be in your future. If you’ve been putting off a crown procedure because you know how long and grueling the entire thing can be, you don’t have to wait any longer. Ask your accredited cosmetic dentist about a CEREC machine to see what your options are. Comments Off on Are same-day dental crowns in your future? If you live in the Denver area you may have already heard of the Mile High Eye Institute (MHEI). They have a reputation for excellence and have been in practice for almost 10 years. The team is led by Dr. William Richheimer, who has been performing eye surgeries and administering complex treatments for quite a while. He has even performed cataracts surgeries on fellow eye doctors. The mission of Mile High Eye Institute is to always provide the most advanced and complete medical/surgical care for the eye. It’s simple but it is something that the team at Mile High lives by each day. In addition to providing the best care possible, the staff and doctors at MHEI keep up with on-going education on the treatments and surgeries that they perform. The key to providing the best care is maintaining the best trainings and new technologies. Some of the most common procedures and treatments given at MHEI include glaucoma surgery, cataract surgery, cornea surgery, Lasik eye surgery, PRK surgery, and more rare treatments for specific eye conditions. They treat dry eyes, poor vision, blurred vision, and eye infections. No matter what the case with your eyes, chances are the team at MHEI has seen it before and knows where to begin with treatment. And no matter what the treatment, you will be provided with the best care and concern possible. Dr. Richheimer and his team take time with each patient. They don’t place pressure on their patients to agree to any surgeries or procedures. They basically give you the best assessment and their best medical/surgical advice as to how to treat or correct the problem. Or maybe you just want to finally toss those glasses or contacts after decades of wear. 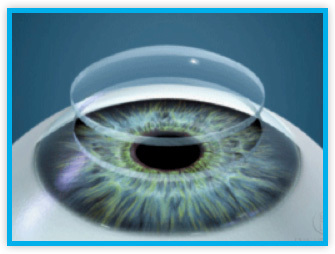 Lasik eye surgery has become streamlined and extremely safe. The recovery time is much less, the pain is much less, and the satisfaction is greater. When you elect to have lasik eye surgery at Mile High Eye Institute you can be confident that your surgery will go smoothly and you will receive the best of care. This surgery is common these days, but the staff at MHEI do not treat their patients like they are common. Each case is unique and each eye is unique. And for those who may not be eligible for Lasik eye surgery, there are more options. Some people cannot have this surgery because their corneas are too thin or their needed correction is too high. If that is the case, an implantable contact lens may be an option. If you can’t correct your vision internally, you can place a lens right onto your eye that corrects your vision. This is done by sliding a tiny lens in behind the iris through a small incision. With this type of surgery, you can go through life without changing and cleaning contacts or keeping your glasses close-by. You can wake up and see as soon as you open your eyes, so it’s a close second to Lasik. All this and more can be done with Mile High Eye Institute. Are you running out of space in your small office for all of the extra interns this summer? Or are you looking to find space for a few of your freelance workers that are just around part-time? Don’t keep cramming your employees into smaller and smaller cubicles because you can’t afford a bigger space. There is a much more reliable and cost effective solution to this problem: shared office space. It’s great that you have your own leased space and you can afford to hire on more staff and take on more interns – that means your business is growing! But you might not be at the point where you can upgrade to a larger office, or you just might not want to make that move so quickly. Again, the answer is to rent some shared office space. A shared office, also called a coworking space, was tailored for the independent contractor or small home business owner who occasionally needed access to an office. For those who don’t have whole offices set up in their homes, this would give them access to scanning and printing, a landline to use for business, and best of all the coworking space where networking happens on the daily. For those times when you have extra interns or employees, you can rent out some space from a shared office. These days as long as you have the internet, you can get just about anything done. Your shared space solution is finally here. When you rent space with Office Evolution Greenwood Village, you can have it all for yourself and for your employees. The facilities at Office Evolution are state of the art and provide every possible thing you can think of for an office. If you have been looking for the perfect spot that is affordable for your workers to use, you can stop looking. Coworking spaces are relatively new, but have really increased in popularity recently. They are intended to be a spot for the flexible worker to get things done whenever they can. Shared office spaces are also called coworking spaces because of the type of environment provided. There are of course private desks with peace and quiet if a person really needs to think, but there are also larger spaces with group desks and tables where workers can collaborate and interact if they want. Coworking spaces have proven to be valuable in several ways. Educational opportunities are created across company lines and across business lines that are favorable for all parties. At first, many employers didn’t realize that an asset a coworking space would be – they thought it was just a big room where everyone did their own thing. But now that companies and business owners are realizing that coworking spaces are more than just a place to work, they are purposefully placing their independent contractors and freelancers there to seize the networking opportunities. You can take a tour of the facilities at Office Evolution Greenwood Village to see how it can truly help your company grow, no matter what stage of development you are in. Take a look at the different working scenarios that your employees would thrive in. You can also talk about rental pricing while you’re there to sew what works best for your situation. Plus, you can see how much money you will be saving by having your employees somewhere that you don’t have to cover. When I say cover I mean things like amenities, supplies, electric and gas bills, cleaning, landscaping, and maintenance. That is all included in your rate, and it is far less cheaper than what you would pay on your own in a leased building.